Are you eager to attend SSON's 25th HR Shared Services & Outsourcing Summit this spring in Chicago? Not sure your trip will be approved? 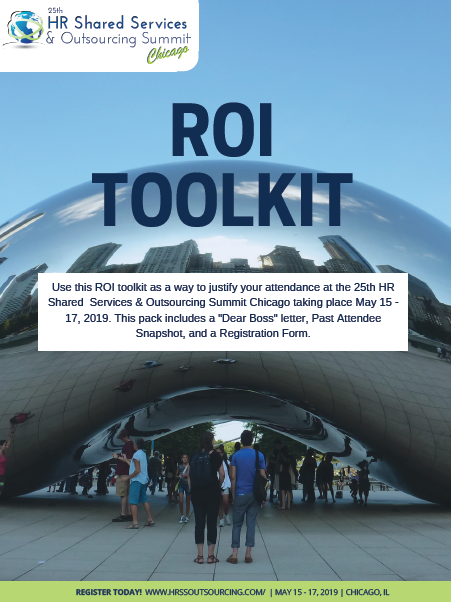 We've created our Attendee ROI Toolkit of letters and worksheets you can easily customize to help your manager understand the return he or she will see on this important investment. The packet includes testimonials, benefits of attending, expected attendee snapshot, a customizable "Dear Boss" letter and additional tips for justifying your attendance.